This was an oak floor board used in cladding the fireplace surround. Timber is very versatile. 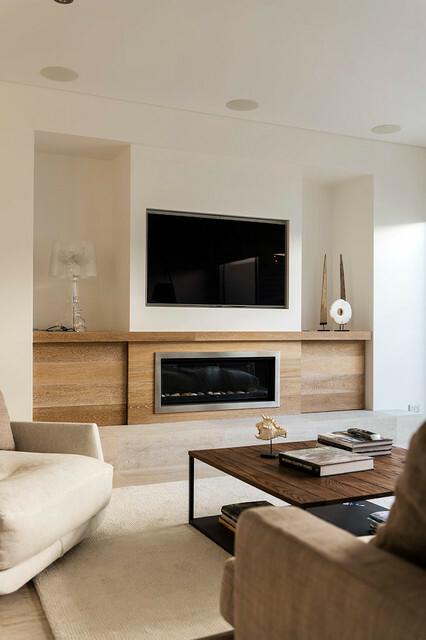 You just need to ensure that the fireplace is installed to manufacturer's specifications and in accordance with local regulations. Clean, simple. operable cover for TV?